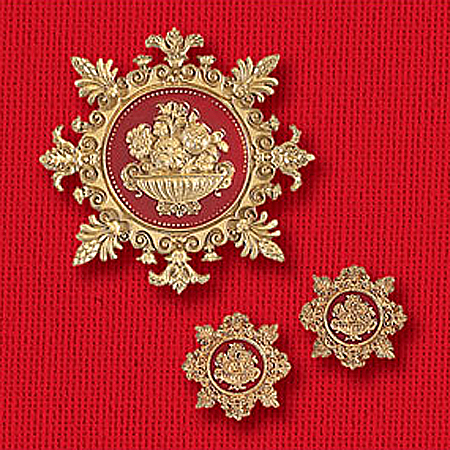 These female earrings of a basket of flowers that is derived from the design woven into the silk covering the fireplace screen in the Red Room. These antique earrings feature one of the most famous rooms in The White House and are a great gift for any woman's jewelry collection. These earring clips are pewter items antiqued 24k gold electroplate.